After she breaks up with Ryan, Glauren is rumored to have been hooking up with heavy metal Hellboy. Ryan enlists the help of his friends Valo and Falcone to find out the truth. #SDCC14: On Day 3 (July 26) Vamp Out with True Blood, The Vampire Diaries, Salem, Ahs: Coven, Constantine, Grimm, Sin City, Lovecraft, Twin Peaks, and More! Based around skateboarding and crazy stunts. Starring the CKY crew, Bam Margera, Brandon DiCamillo, etc. The first video in the CKY series. The movie is based around skateboarding thrills and spills, but it contains the insane and disgusting stunts that eventually blossomed into "Jackass". Bam Margera from Jackass presents his lifestyle during the days that are in connection with his marriage with his fiancé Missy. Trailer-trash rockers Lenny and Ponce have vowed revenge on billionaire scum-bag Rut Ru and on his bloated sidekick Dominick, who have heisted Ponce's cool invention, the Garbage Juicer. Mad-Magazine styled parodies of beloved Christmas stories and their characters by star talent Bam Margera (Jackass, MTV's Viva La Bam) and a parade of special guests. This documentary is basically deleted scenes and additional stunts and sketches from the Jackass TV show. The "Wildboyz", Steve-O and Chris Pontius, interact with different animals and travel around the globe. This single disc DVD contains over 1 hour of highlights from the Jackass TV series, with special features. Glauren: I got a two o'clock. Ryan Dunn: I am your two o'clock. You're a hairdresser, I got bad hair and I need you to cut it. 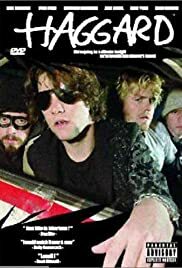 In honor of the late Ryan Dunn, I felt I needed to watch Haggard: The Movie. I watched the sequel to the film made six years after this, Minghags, and really enjoyed it. Seeing this one, it clears up a lot of the confusion I had with Minghags. I wasn't aware this was the predecessor to the film, but seeing it now, really makes me take a liking to Bam Margera's independent style of filmmaking. Before Jackass, Bam Margera took part in a series of videos he called CKY (named after the band). He wound up making several volumes of him and his friends, like Raab Himself, Ryan Dunn, Rake Yohn, etc, goofing around and being themselves. Then he went on to be a member of Jackass and do his own MTV shows like Bam's Unholy Union and Viva La Bam. Haggard: The Movie was the middle of the road coming out in 2003. A year after the first Jackass movie. It's supposedly a true story remade with the characters in the movie are played by Bam's friends. Ry (Dunn) is upset when he finds out his girlfriend Glauren (Rivell) wants time apart. He then realizes that she is hanging out with a heavy-metal punk nicknamed Hellboy (Yohn). To help their friend out, Valo (Margera), Falcone (DiCamillo), and Raab Himself (Raab) all try to vandalize Glauren's house. But Ry is still sinking deeper and deeper into a mental depression. The humor is totally up my alley with lots of rough housing, name calling, and well acted, natural conversations. The movie is not too long or too short. It is perfectly managed. The only downside is it has one montage too many. Many of the montages in the movie are set to skateboarders with rock music by CKY, Gnarkill, and H.I.M. in the background. I have no problem with any of the music played, but there are at least four montages in the film that go on for way too long. Other than that, the film is pretty close to perfect. I was under the assumption that since most of these guys are used to doing dangerous stunts they couldn't really do justice acting in a full length movie. I was way off. They pulled if off perfectly. In no way was I expected Bam and Dunn could both act as well as they did. 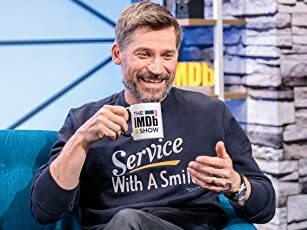 Between the soundtrack, the filming style, the humor, the acting, and the story, Haggard: The Movie wins in every category. Except the fact that the number of montages can be tedious, and the subplot of an invention doesn't really take off as much, but we see it done with more in the sequel. Haggard: The Movie is not only a great film, but a great way to remember an amazing actor and daredevil. Starring: Ryan Dunn, Jenn Rivell, Bam Margera, Brandon DiCamillo, Chris Raab, Rake Yohn, and Vincent Margera.